Age is a complex thing. It does strange things to your mind. As you gradually start losing your contemporaries, you start dwelling in the past. On Monday evening, former West Bengal chief minister Siddhartha Shankar Ray reminisced about his long association with the Communist Party of India-Marxist stalwart Jyoti Basu while flipping through an old album. Indrani Roy Mitra notes down the ruminations. When did you meet Basu? We met in 1946-47. I had just returned from London as a barrister. Jyoti and I were both invited to a dinner hosted by Snehangshu Acharya (a leading barrister and a Communist, who later became the advocate general of West Bengal). What was your first impression of Basu? There was something about Jyoti that made him stand out in the crowd. He was gracious, charming, sincere, a delightful person, true intellectual and a gentleman to the core. Moreover, we came from the same background and had received the same kind of education. Our similarities instantly drew us to each other. Basu and you were poles apart in your political ideologies. Yet that never affected your friendship. How was it possible? In our generation, political differences never affected our personal ties. I had no private quarrel with Jyoti. 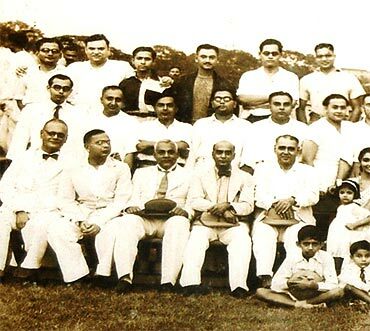 We were members of the West Bengal legislature for long. Jyoti was a Marxist, and I was anti-Communist. Whatever disagreements we had, we tried to thrash them out on the floor of the Assembly. Besides, we belonged to a generation that believed in the true tenets of democracy. A right form of democracy allows a dignified presence of opposing views. Jyoti and I fought tooth and nail on the floor of the Assembly but the moment we came out, we would be the best of friends. I still remember that following his win in an election in the early 1950s, I 'bunked' high court to take part in his victory march (smiles). You had vehemently opposed the Chinese aggression, right? Yes. At the 33rd session of the Assembly, between November 16 and 21, 1962, I did not mince my words. When the motion on the Chinese aggression was discussed, I had said, 'Sir, I have no private quarrels with Mr Jyoti Basu. I have no private quarrels with any of the members sitting on my right." Referring angrily to Jyoti, I had said, 'Sir, this is the last time that I shall refer to him as the leader of the Opposition'. Today, I feel I was a bit too harsh. I should not have been so aggressive. 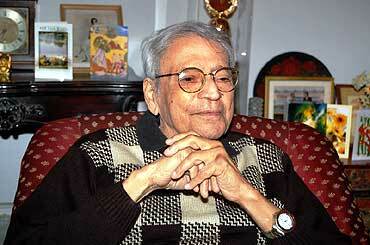 During the Food Movement of 1959, Basu took shelter at your residence to evade arrest? Yes, Snehangshu (Acharya) told me that Jyoti would come to the city from Tripura and that I would have to help him 'hide' at my place. I left for the airport soon after. It was so arranged that our car drove right up to the tarmac and Jyoti was the first passenger to alight. As soon as he got into the car, I made him lie down on the car's footboard and stretched my long legs to cover him. Jyoti had a safe passage from the airport and he stayed at my place for 36 hours. Tell us about Basu's initial years of hardship. Those were tough times. Jyoti was a man of principles. He would get a monthly pay of Rs 250 out of which the lion's share used to go to the party fund. 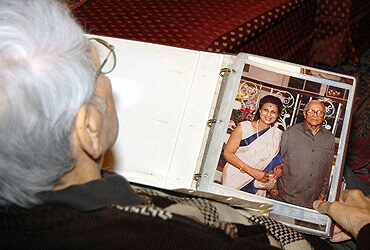 I would visit him often and walk up to the kitchen to see what Jyoti and his wife were having for lunch. They could not afford to have elaborate meals with such a paltry income. However, things improved slightly when the monthly pay was hiked to Rs 750. Once his wife called me and said, 'Please make your friend understand how to run the house. He often foregoes his pay and it becomes difficult for me to make the both ends meet'. Jyoti was an idealist to the core. He could put everything at stake for his political belief. It was a historical blunder. Is it this strong ideology that made him a national leader? Yes. Jyoti had qualities of sincerity, dedication, hard work and discipline. There are so many Communists around. Has anyone achieved half as much as Jyoti? Leaders like him are hard to come by. 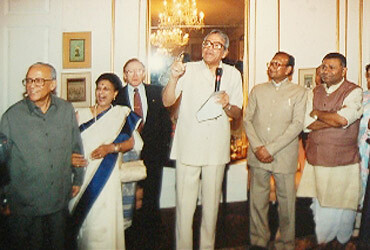 The party that Basu dedicated his life for stopped him from becoming the prime minister. Was it really a 'historical blunder' as Basu himself had said later? Of course. It was shameful. If Jyoti was made the prime minister then, the face of India and Bengal could have altered. It is often 'alleged' that Basu was not too well conversant in Bengali? Is it true? (Smiles). Once while heading for Kolkata from the suburban town of Chandannagar after a political meeting, we were surrounded by some very beautiful women. They started asking for autographs. Jyoti was a 'star' politician then and the women were not satisfied with a simple signature but begged Jyoti to write something more. But he refused. As we got into the car, I asked him, 'how could you refuse such pretty faces' request? You could have quoted Rabindranath Tagore'. To this Jyoti retorted, 'Jaanle to likhbo (wish I remembered a line)'. 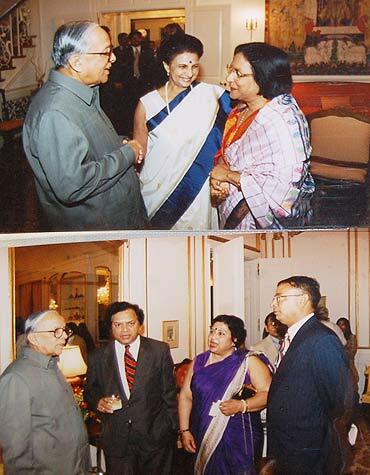 We hardly ever saw Basu smile. This is a misconception. Beneath a stern exterior, Jyoti was an extremely affectionate individual with a dry sense of humour. He was a great company to be with. I am yet to come across a personality more interesting. Food forms an integral part of any Bengali's life. 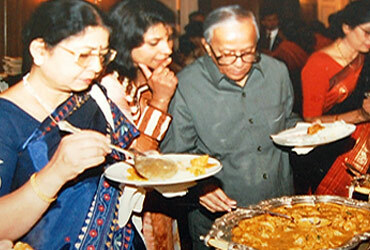 Was Basu as fond of eating as his fellow Bengalis? What did he like to eat and drink? He loved to have both Indian and English cuisine. Whenever he visited me, I would set aside imported whiskey for him. A strict disciplinarian that Jyoti was, he set a limit for eating and drinking and never crossed it. People at large have often criticised Basu's long tenure as the chief minister and held it responsible for Bengal's 'doom'. What is your opinion? I cannot overlook the administrative lapses during Jyoti's tenure. West Bengal's economic, social, health or education reforms were hit badly during his reign. In fact, I blame Jyoti squarely for Bengal's messy education system. I feel his planning was totally wrong. He was an efficient administrator no doubt but I am sure posterity will question most of his actions. If asked to compare the three chief ministers of West Bengal -- Bidhan Chandra Ray, Jyoti Basu and Buddhadev Bhattacharjee -- , how will you rate them? Dr Ray was the best, undoubtedly. He was one of a kind, incomparable. Jyoti came a close second no doubt. But Buddhadev? Well, his position is at least 5,000 miles away from Jyoti. During Basu's tenure, corruption charges were levelled against the CPI-M and its government, some of them even put his businessman son Chandan and some ministers in the shadow of doubt. Now that Jyoti is no more, I would not like to comment on these controversial issues. Would you like to comment on Marichjhapi incident wherein the Communists allegedly killed 128 poor Bangladeshi Hindu Refugees in 1978-1979? It is not proper to comment on such issues without concrete proof. However, I do feel that a party that can make Nandigram happen is capable of perpetrating any inhuman act. What is it about Basu that you miss the most? (Pauses) I miss the camaraderie, informal chats, dinners and political differences. As we grew old together, we often discussed who would die first. Jyoti insisted that he would be the first to go. Sadly, he kept his word this time too.